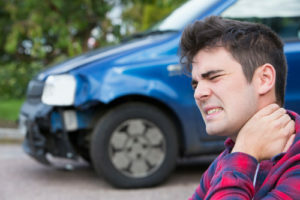 Will You Need Physical Therapy After an Auto Accident? After a car accident has occurred, things tend to move very quickly. Many victims find themselves seeking medical attention, filing insurance documentation and much more. But in the midst of dealing with the ins and outs of an accident, injured victims often overlook the benefits of physical therapy. It may seem counterintuitive to seek therapy immediate after an accident. Your body feels sore or in general pain and movement could, in theory, make that worse. But physical therapy can actually help alleviate pain immediately. Sprains, twists, and other injuries could leave you in a state of aching that could be alleviated by specific exercise techniques. Whiplash is an extremely common injury in an auto accident. The treatments for whiplash are both active and passive. Both methods can help regain a full, healthy state or at least a better physical state. Could temporarily or permanently affect your ability to move properly. Physical therapy, though it may seem grueling, can help retrain your body to maintain proper mobility. Physical therapy is commonly seen as a method of fixing a problem rather than preventing one. In actuality, it’s both – an individualized therapy program can help prevent further injuries and can even help stave off a surgical procedure. For example, if muscle or skin tissue is severely damaged, it’s in a fragile state. Further movement could lead to more tearing. In some cases, this tearing could only be fixed by a surgical procedure. When reconciling with all the factors of an accident, full attention to physical health tends to slip by the wayside. In many cases, insurance will only cover so much. Don’t let important physical treatment pass you by. If you or a loved one has been injured in an auto accident, contact an experienced personal injury attorney who can help fight for the compensation you need. Contact the experienced lawyers at Team Law today at 732-388-5454 to schedule your initial consultation.